GN Solids Control, as the first API certified solids control manufacturer in China and also the leading oil and gas centrifuge producer, has a full range of centrifuge models from the 9 inch diameter bowl baby centrifuge to the 30 inch diameter bowl giant centrifuge. 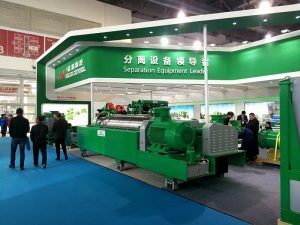 Each year, GN produces more than 150 sets centrifuges of different sizes and GN equipment like shale shakers, shaker screens and decanter centrifuges are sold to more than 70 countries or regions in the world. This Q/A are giving more information for choosing and getting a more comprehensive information of GN Centrifuges. 1. Why there are VFD for decanter centrifuge and also fixed speed available? VFD control panel helps the operators to adjust the speed, the differential speed and other main parameters of centrifuge to get a suitable separating result. 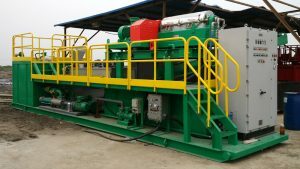 In drilling cuttings or drilling fluid waste management conditions, when the material condition is not stable, it is necessary to use a VFD one. 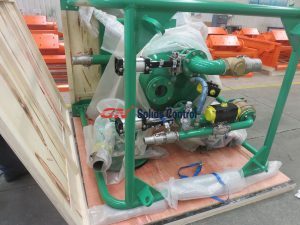 But in case of solids control system of a drilling rig, when the mud condition is stable, a fixed speed control panel here is more economic, cause it requests less maintenance and easier operating. Take GNLW363CG for example, even the fixed speed one, GN could provide pulley and belt for an extra common speed. 2. What’s the main difference between the high speed decanter centrifuge and a middle speed decanter centrifuge? 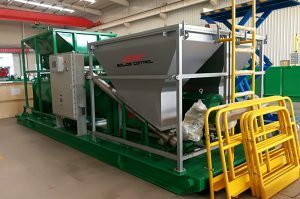 The rotating speed of centrifuge determines the cutting point the centrifuge could treat out, for example the GNLW452C decanter centrifuge, with a typical speed at 1800RPM is mainly used in a solids control system for barite recovery, the cutting point is 5 to 7 microns, while the GNLW453C-VFD with a typical speed of 3000RPM, which is a high speed one, cutting point is 2-5 microns. 3. What’s the difference between longer centrifuge and shorter centrifuge? The length diameter ratio is an important factor of a centrifuge. The longer centrifuge is a centrifuge with a larger length diameter ratio. The bigger this value is, the longer time material stays in centrifuge, then the dryer separating result you could get. For more information, welcome to visit GN website of contact GN sales directly.